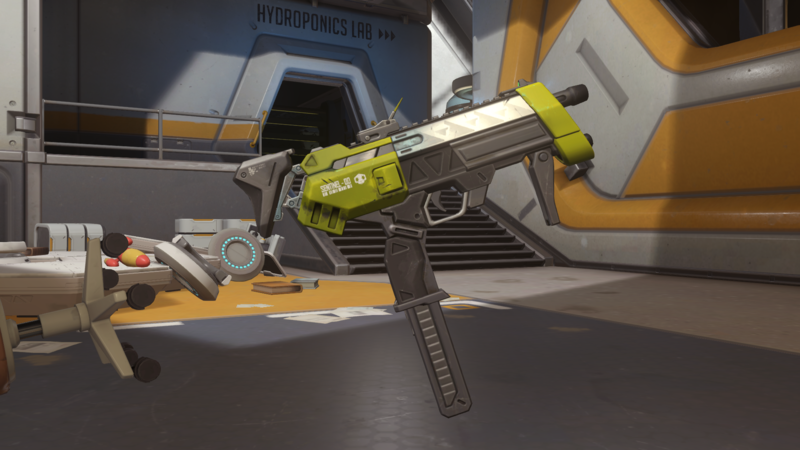 Are weapon skins a possibility for Overwatch? Unfamiliar looking weapons were spotted in Blizzard’s latest Overwatch video. But that could change. Blizzard could move toward a Counter-Strike: Global Offensive model in regard to skins. Cosmetic options in CS:GO are tremendous, with hundreds of offerings—though there is some controversy for their role in the game’s gray-market gambling economy. Yet, it’s still a major part of the game’s appeal and sustainability. 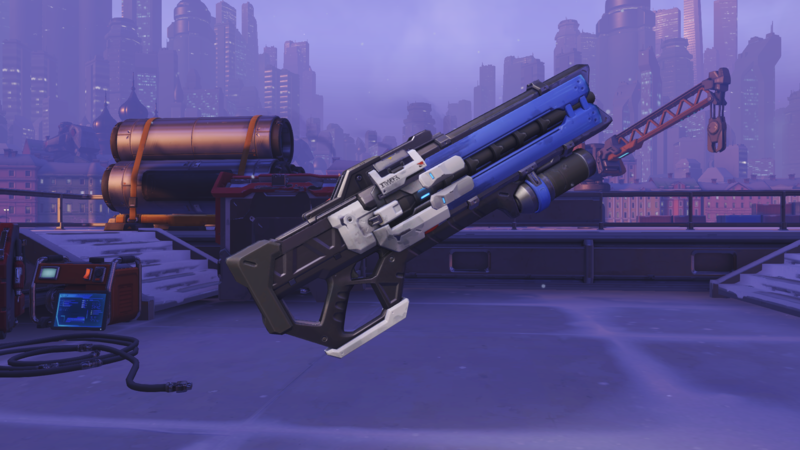 Should Blizzard implement a similar feature—or even allowing players to pair different skins with different guns—Overwatch players will be pleased. Golden guns are great, but more customization options are even better. Blizzard hasn’t spoken publicly about the addition of weapon skins, but it appears the technology is available. In a new behind-the-scenes Doomfist video released yesterday, two unfamiliar looking weapons popped up, pointed out by Reddit user good_samartian. It’s entirely possible that these weapons are part of an early build or an iteration on the game we’ll never see, however. 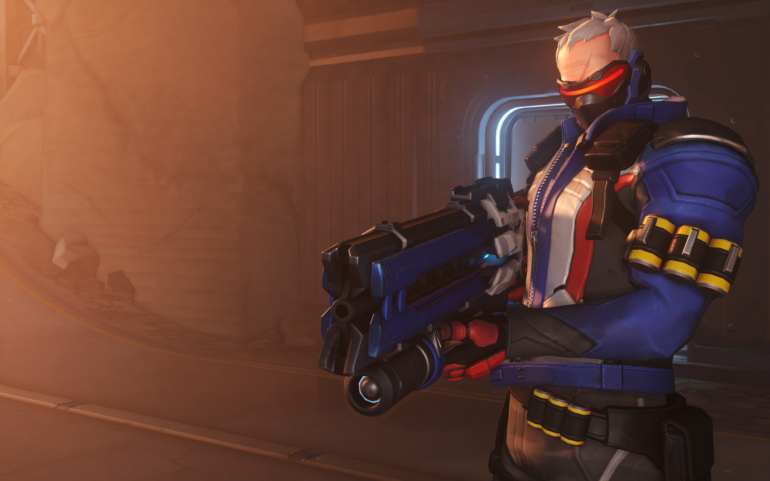 Look closely at Soldier: 76’s guns. 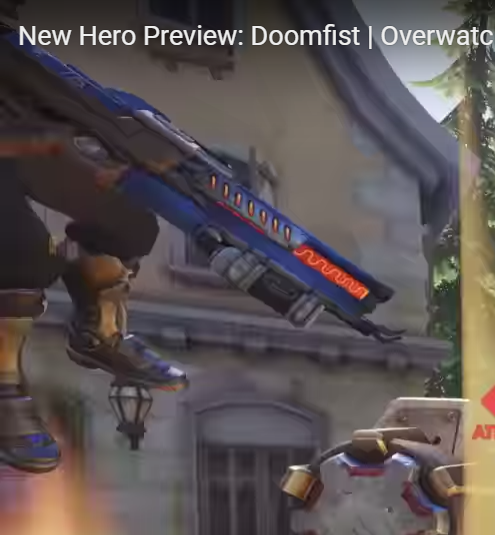 The weapon in the Doomfist video screengrab is clearly not the weapon associated with the Overwatch hero’s classic skin. A closer view shows what appears to be coils and two prongs toward the end of the weapon’s muzzle. 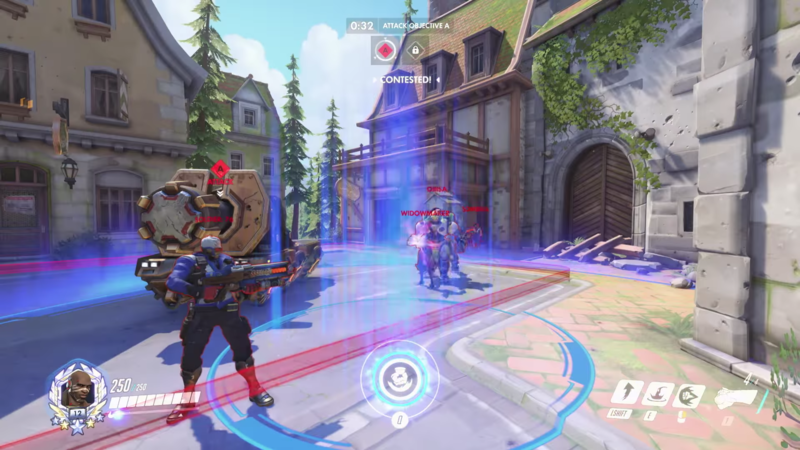 Sombra, too, is using a weapon that doesn’t match her classic skin, found by Reddit user Nyxxic. 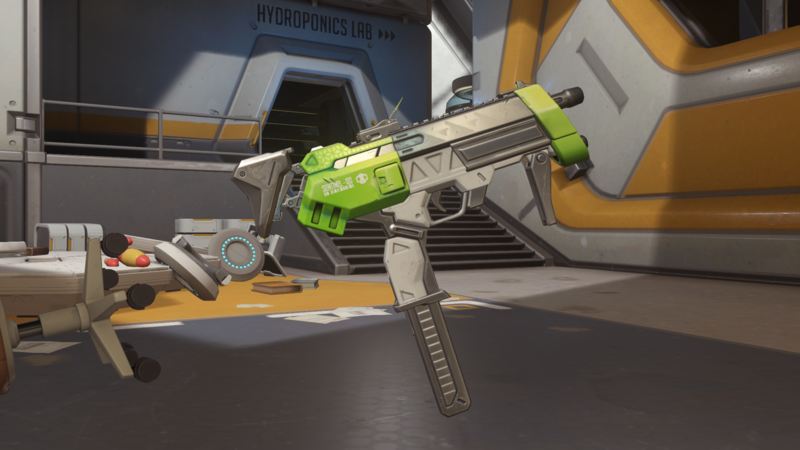 Sombra’s classic skin features a purple weapon, but she does have two green-colored weapons for other skins—neither of which are the gun shown in the new video. Overwatch players are excited about the possibility of new ways to customize their heroes in-game, but it’s too early to get too excited. After all, there’s a definite chance they are just models used in Overwatch’s development. But if weapon skins are a possibility in Overwatch, that’s major. The game could be heading toward a similar skin-based economy like in CS:GO.